What makes Avatar Adi Da’s seventh stage Revelation utterly unique? 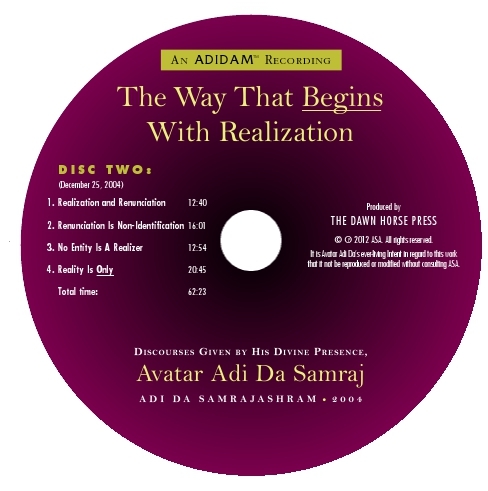 To find out, listen to this CD set and learn about Adi Da’s singular seventh stage Way as He describes It directly and in the context of other genuine esoteric traditions. These Discourse excerpts are an incredible resource for understanding Adi Da’s seventh stage Way with the guidance of His “map” of the six stages of life, which correlates to the structures of the human being. Realization of Reality Itself, which is Always Already the Case, begins only from the “Position” of Reality Itself. It is not something arrived at or “caused” by some conditional effort or by seeking. It does not depend on all of that. In fact, it specifically transcends all of that, all seeking, all structures—gross, subtle, or causal. When this Realization is Awakened, you see, everything that arises is recognized—Divinely Self-Recognized. 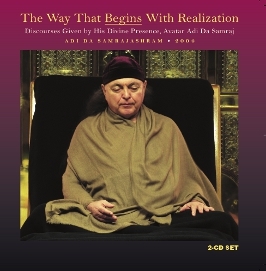 A collection of Discourse excerpts in which Adi Da clarifies His seventh stage Way by distinguishing it from other esoteric traditions.